This 24 oz. 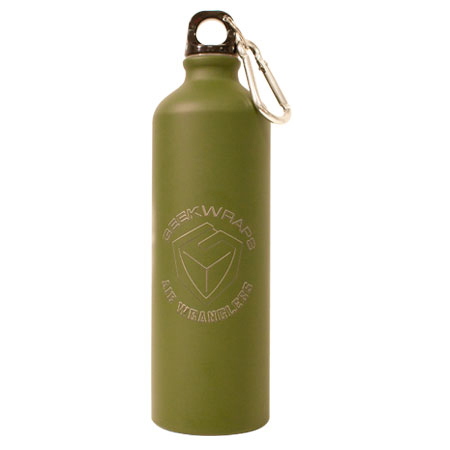 aluminum water bottle is laser engraved with the Geek Wraps and Air Wrangler logos. BPA free, It features a twist cap with carabiner and a strong body, great for travel. Available in matte army green.